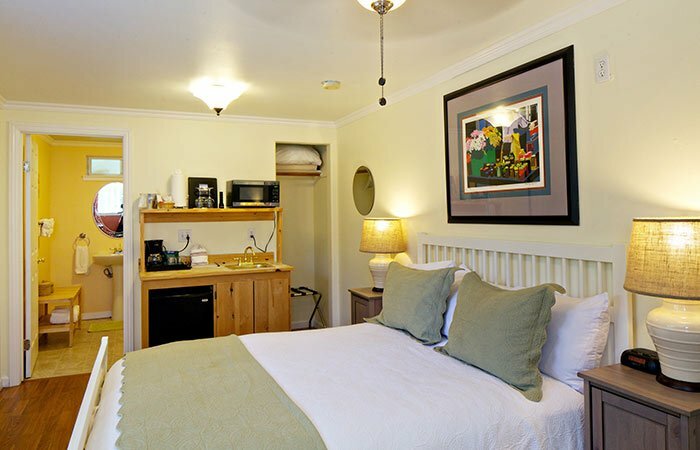 The cozy and well appointed Queen Studios provide a Queen bed and balcony overlooking the central garden. The studio rooms include a wet bar with a refrigerator, microwave and sink. These are ideal for couples or solo travelers. Please contact the hotel directly for dog-friendly accommodations.